WILLIS EDGAR HEATON—The career of Judge Willis Edgar Heaton is a record of hard, consistent, conscientious effort, directed continuously along one line toward a desired goal. The attainment of that goal has in itself constituted success, the desire to achieve which has been at once an inspiration and an impetus all along the way. Willis Edgar Heaton, son of Charles Edgar and Sarah Ann (Gates) Heaton, was born at Cicero, Onondaga County, New York, September 15, 1861. Charles Edgar Heaton was at that time completing his medical course in Philadelphia, Pennsylvania, and the next year the family moved to Black River, Jefferson county, New York, where the father began the practice of medicine. 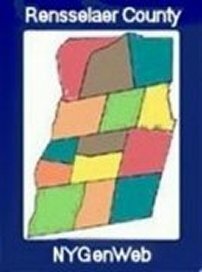 About seven years afterwards the family moved to Mexico, Oswego County. New York, which was near the old home of Mr. Heaton's wife, Sarah Ann (Gates) Heaton, who was the daughter of Robert Gates, of the Revolutionary Gates family. At Mexico, Willis E. Heaton continued his early education at Mexico Academy, and even during those days of his elementary training he showed decided promise of large mental calibre, of unusual powers of application, and oi an extraordinary penchant for analysis—a promise which became a substantial reality in later life. He graduated from Mexico Academy in 1877, as salutalorian of his class. At that time H. Clark Plumley, who was later the editor of the Fargo (North Dakota) "Daily Argus," and an able and enthusiastic journalist, was connected with the Mexico "Independent," and the young graduate entered the printing office of the "Independent" and learned the art of printing and conducting a country newspaper. This early training has greatly influenced the life of Judge Heaton, and during the earlier days he frequently contributed to the press both prose and poetry. After this additional training for college the young printer entered Madison (now Colgate) University, where again he acquired the enviable reputation as a scholar of more than usual ability, and was chosen a member of the Delta Upsilon fraternity. Just before the close of the year the sight of the right eye became afifected and his college course came to an end. After a lapse of about six months he was able to begin the study of law with Hon. George G. French, and with French & Stone, both very able and prominent lawyers in that county. Later he received the appointment of clerk of the Surrogate's Court, the surrogate, Hon. T. W. Skinner, being located in that village. In the fall of 1882 he entered the Albany Law School, and passed the bar examination in January of the next year. When he returned to Mexico he was offered two official positions in the county and also had the opportunity by the invitation of his old friend, Mr. Plumley, to become assistant editor of the Fargo "Daily Argus." It was therefore necessary to decide upon his future and he chose the law. The young lawyer now began to consider where he should locate, and he had several places in mind when Surrogate Skinner said to him one day "that he knew of a town where a lawyer was needed," and he replied: "Then that is where I will go," and he went to Hoosick Falls, New York, and after looking over the town, rented an office and sent for his trunk. 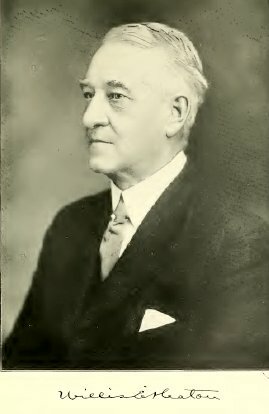 Judge Heaton served as village attorney of Hoosick Falls, and in 1898 was elected supervisor and reelected in 1900, serving also as chairman of the board of supervisors. As chairman of that board he saw the advantage of putting the purchasing of all county supplies into the hands of a responsible, expert buyer, but failing in this, he drew and secured the passage of a law vesting the purchasing of county supplies in a committee of the board. In 1901 he was elected surrogate and reelected in 1907, serving twelve years. During the last years of his first term Surrogate Heaton devoted his spare time to writing a book on the duties of executives and administrators, and the law and practice in Surrogate's Court, and from time to time the book has been re-written and enlarged, the fourth edition having been issued by Matthew Bender & Sons, Albany, in 1921, and it is now the standard authority in New York State on that subject. In the years 1911 and 1912 there was much discussion about reforming and simplifying the practice in the Surrogate's Court, and the New York State Bar Association, of which he was an active member, took up the subject and authorized the formation of a Surrogates' Association, of which Surrogate Heaton was its first president. Later it was decided to draft a new surrogate's code, and when the action was authorized by the Legislature, he was appointed to render that service in connection with a committee from the Surrogates' Association, The result of their labors was enacted into law in 1914 and was reenacted when important changes in legal practice was made in 192 1. Since leaving the bench Judge Heaton has practiced law in Troy and Hoosick Falls as senior member of the firm of Heaton & Mambert. Judge Heaton is a trustee of the Methodist Episcopal church; president of the Hoosick Falls Free Library; a governor of the Hoosick Club and of the Country Club; and vice-president of the Hoosick Falls Cemetery Association; and member of the Benevolent and Protective Order of Elks. He is also a member of the Republican Club, of Troy. In 1915 he was a member of the Constitutional Convention to revise the Constitution of the State. Judge Heaton is also author of a treatise entitled, "Surrogates' Courts," two volumes, published in 1907, which deals with the law and procedure of surrogates' courts, and which has a well established reputation as an authoritative work on the subject. Judge Heaton married, on December 27, 1888, Mrs. Mary (Harper) Skinner, of Hoosick Falls, New York.